According to the Wall Street Journal, “Coca-Cola Co. said it plans to spend more than $5 billion in Africa over the next six years, lifting the U.S. beverage giant’s proposed investments in Africa to $17 billion for 2010 to 2020. The Atlanta-based company also signed a preliminary agreement to launch an initiative — called Source Africa — to secure more consistent and sustainable local ingredient sourcing for its products.”This latest initiative considers not only manufacturing logistics, but a more sustainable African supply chain. Coca-Cola has laid out a long-term plan for harvesting ingredients that includes an $11.5 million African fruit farmer agreement. The deal could positively impact as many as 50,000 local crop owners. 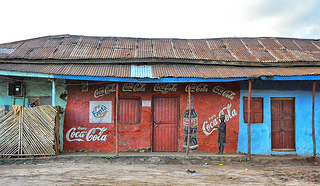 In addition to revamping its African supply chain, Coca-Cola will also improve its resident facilities. The company plans to update its manufacturing lines. New production equipment such as cooling and distribution tools will be added, as well. Coca-Cola hopes the new plant will allow for more production, which could help it reach more African customers. Currently, major African countries consume far less Coke products than product patrons in Mexico and other locations throughout the world.